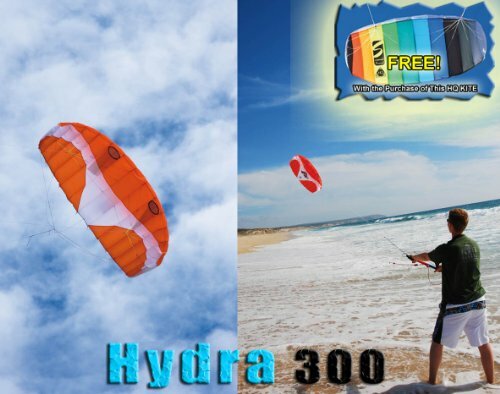 The Hydra is the world's first and only water relaunchable trainer foil. Extremely stable and easy-to-fly, this closed cell ram-air foil has no bladders to inflate or replace, yet it floats on water. Closed cell technology with drainage system provides water relaunchability strong workmanship with stitched Dyneema bridle for strength. Third line included for maximum safety and ease of relaunch in any position. Perfect kite for kitesurf schools. If you have any questions about this product by HQ Kites and Designs, contact us by completing and submitting the form below. If you are looking for a specif part number, please include it with your message.